This versatile AW-HE870N delivers affordable 2/3" quality acquisition for a wide range of applications. 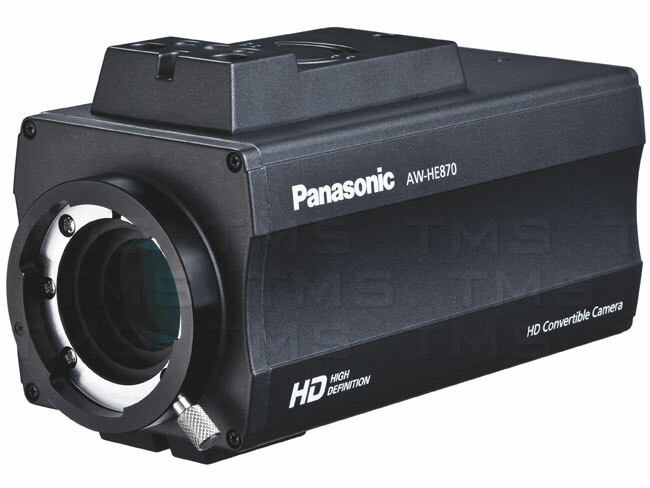 This new addition to Panasonic's best-selling HD convertible camera line supports 1080i/720p HD and 480i SD capture and is compatible with most 2/3-inch motor drive zoom lenses. Combining versatile HD/SD functionality, high video quality and cost effectiveness, the HE870 is ideal for use in education, government, houses of worship, corporate boardrooms, staging and much more. Compatible with Panasonic's comprehensive line of high-performance indoor/outdoor pan-tilt systems, the compact HE870 offers a simple upgrade path to HD. Previously installed control systems may require a firmware upgrade to access all of the new camera's features.